"The team was courteous, professional, and a pleasure to work with." Great bunch of guys! Polite and hardworking. Thank you! "Great work and servicemen. Thank you." I've worked with Paul on several mold remediation projects and his work has always been excellent. I feel comfortable to recommend him for the services he provides. He is truly a business professional. Top qualities:Great Results, Personable, Expert I have worked with Paul and his ServiceMaster franchise for more than 2 decades. A puff back in my home. A serious mold situation for a relative and a flood for a client are just a few of the problems he solved for me. He responded quickly, with the equipment and expertise to solve the problem the first time. His calm approach helped settle the frayed nerves of those involved and his crews were first rate. I highly recommend him. The highest compliment I can pay is that my clients thanked me for bringing him in to solve the problem. great job. Professional and thorough. The ServiceMaster Company was founded in 1929 in the Chicago area by Marion E. Wade, a minor league ball player who went door-to-door selling mothproofing services to his neighbors out of the back of his station wagon. In 1952, with the assistance of his partners, he added other services and developed the first national franchise system for heavy cleaning services in the country. Wade's passion was to help families attain the American dream by owning their own business. Owner Paul Plouffe has been serving the Greater Bridgeport area through his business since 1985. Paul has a Bachelor of Arts in Psychology from the University of Connecticut at Storrs and a Master in Administration from Antioch New England Graduate School. He has served in various capacities in hospitals and Human Service Organizations around the state before joining ServiceMaster with his wife Mary Jane. 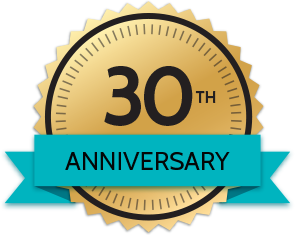 Year-after-year, his franchise has been recognized as one of ServiceMaster’s Top 200 International Franchises and listed as a preferred vendor for many of the best insurance carriers in the country. He maintains a variety of professional certifications from IICRC and is a Certified Indoor Air Quality Manager while staying active in numerous business boards and community service organizations. ServiceMaster of Greater Bridgeport is one of the beneficiaries of Marion E. Wade's dream. 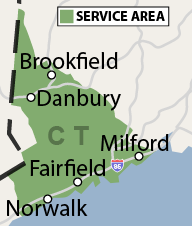 We have been serving Fairfield County as a family business for over 20 years. The franchise, purchased by Paul and Mary Jane Plouffe in 1987, first operated out of their home. 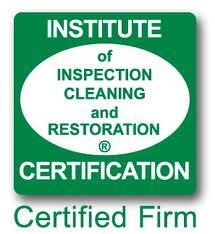 Their mission was to provide contract commercial cleaning services. Shortly thereafter, ServiceMaster of Greater Bridgeport became a vehicle to serve clients in the insurance industry by providing heavy and emergency clean-ups after fires, floods, smoke, storms and other types of disasters. Since its founding in 1987, ServiceMaster of Greater Bridgeport continues to be recognized as one of the best performing franchises in the world serving over 18,000 customers. ServiceMaster of Greater Bridgeport is proud to support various organizations in Greater Fairfield County. We are happy to use our skills and donate our time to help our community and raise awareness. Learn more about our community involvement and some of the charitable partners we work with.